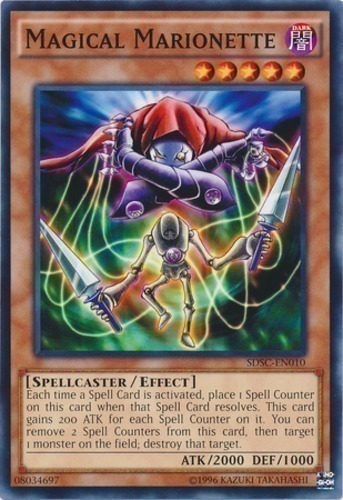 Each time a Spell Card is activated, place 1 Spell Counter on this card when that Spell Card resolves. This card gains 200 ATK for each Spell Counter on it. You can remove 2 Spell Counters from this card, then target 1 monster on the field; destroy that target.